The following images, photographed by Donald Woodman, are from 3 performances in Southern California and were part of Pacific Standard Time: Art in LA: 1945-1980. 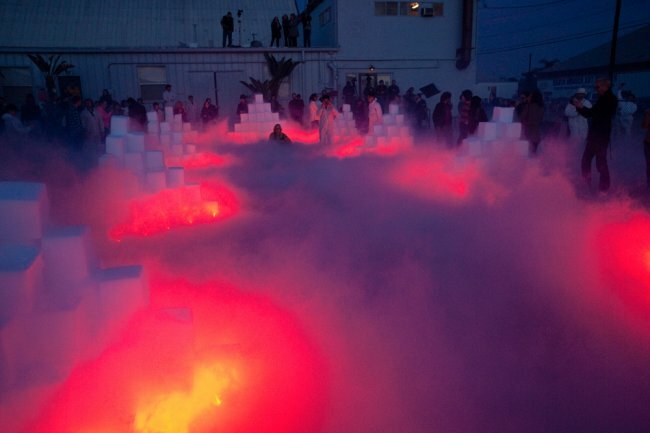 Sublime Environment is a re-staging of Judy Chicago’s 1968 Dry Ice piece. It was performed at Barker Hanger at the Santa Monica Airport with “Materials & Applications”. 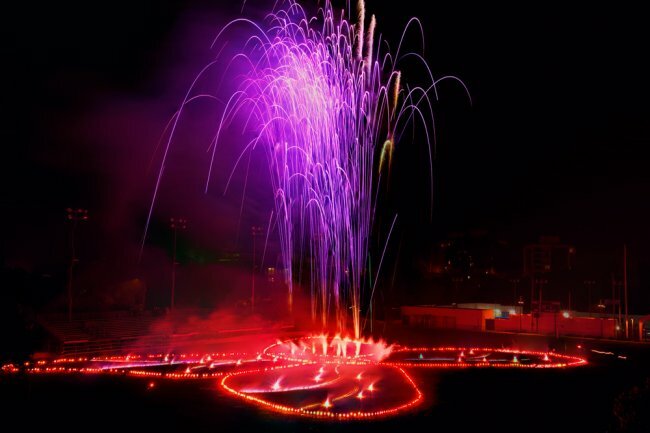 A Butterfly for Pomona, which was commissioned by the Pomona College Art Museum, is the first fireworks piece Judy Chicago has created since 1974 and was executed by Pyro Spectaculars at the Pomona College Football Field. 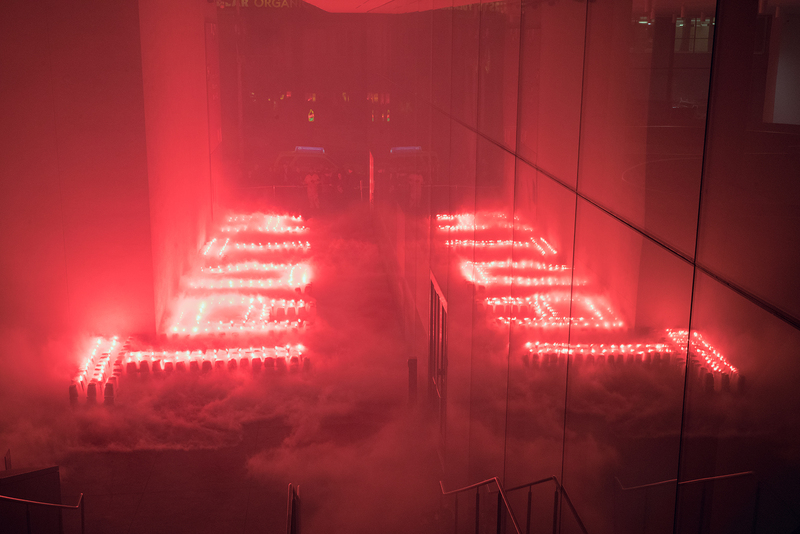 The Deflowering of Nye+Brown was commissioned by Nye+Brown as part of the opening of the exhibition Judy Chicago: Deflowered. 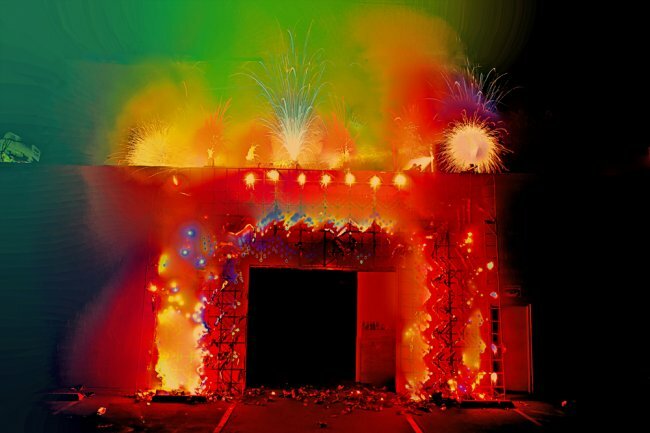 It was also executed by Pyro Spectaculars.